TV Equipment, Brackets and Entertainment Services ABC Digital Aerials. We can move your TV, Entertainment and Computer Equipment for you. If you would like to move your living room around and need a TV point moving, then we can do this for you. We can extend your current setup so that you can watch Sky, Virgin and other services in other rooms in your house, like your bedroom, kitchen, bathroom, shed etc... Whatever you require. Contact us to discuss any assistance you need with cabling, TV point moves and new or old installations. 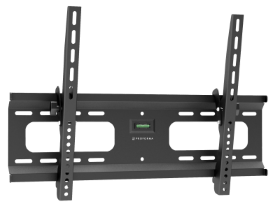 We can also supply and install a TV wall bracket, this will mount your TV on the wall. We have all the equipment on our van to re-wire any damaged communication cabling or lay new cables. Along with TV, aerial and satellite cabling we can also lay data cables, network cables, CCTV cabling and other related data cables.